Have you seen the latest Avengers: Infinity War? It has become one of the most earning movies within only a few weeks since its release. That speaks for how people anticipated the movie so much. We decided to do a survey on how our Indonesian respondents thought about the movie and how they did the ticket purchasing. We asked 659 respondents who have seen the movie. 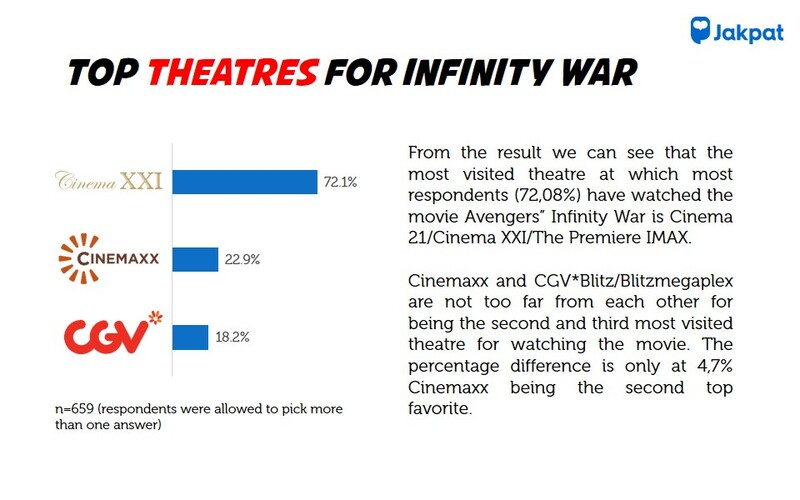 And, here are a few highlights of the survey: Cinema 21/Cinema XXI/The Premiere has become the most visited theatre where most respondents saw the movie Infinity War, and most respondents chose to have the watching experience in 2 Dimensions in a regular studio. 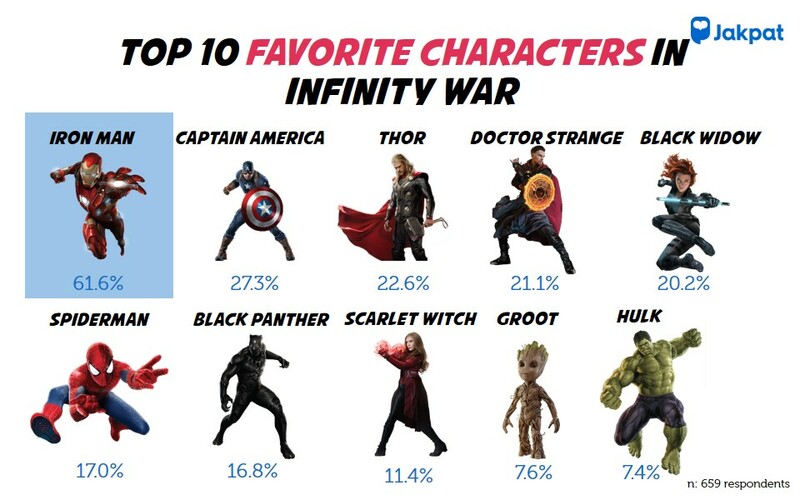 As for the most favorite superhero in the movie, it is Iron Man. When did they watch Infinity war? This entry was posted in Download Reports, Lifestyle, Mobile, Mobile Game, Personal on May 15, 2018 by Raditia Sujanto.